Head to Sanibel Arms. Our Pristine Beach is Warm andSunny! The Bourland family has been staying at Sanibel Arms for many years, and their visits have increased to 5 or 6 times a year! 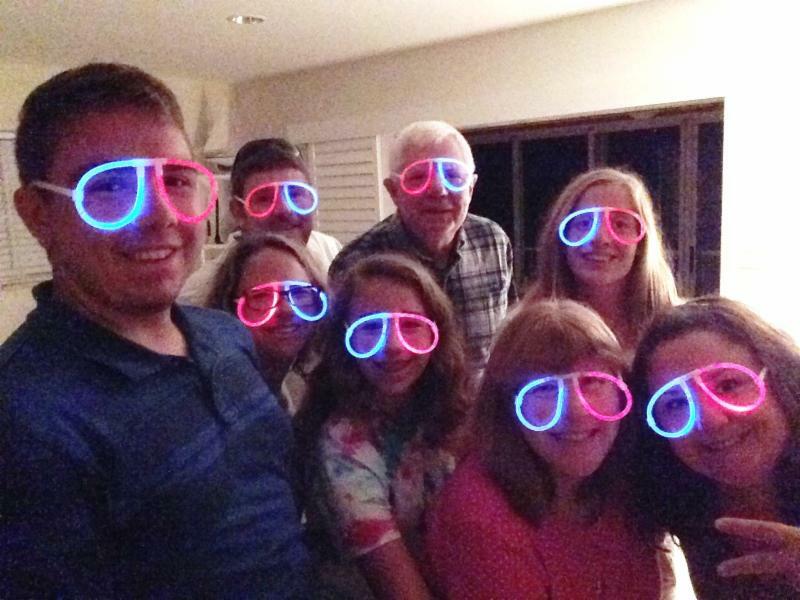 This past summer the entire family enjoyed celebrating Independence Day, Sanibel Style! We certainly love our returning guests "Extended Family!" 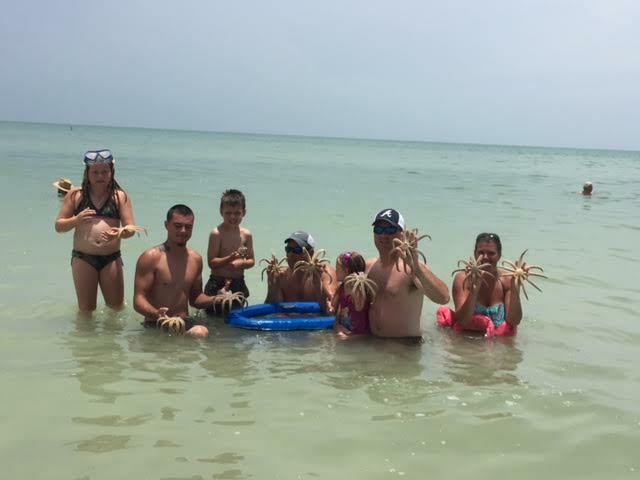 The Lantz and Whitaker families of Georgia had a wonderful time swimming in the Gulf of Mexico with the starfish this year. Much to the delight of our summer guests, the 9 Armed Millipede were abundant, along with thousands of sand dollars. 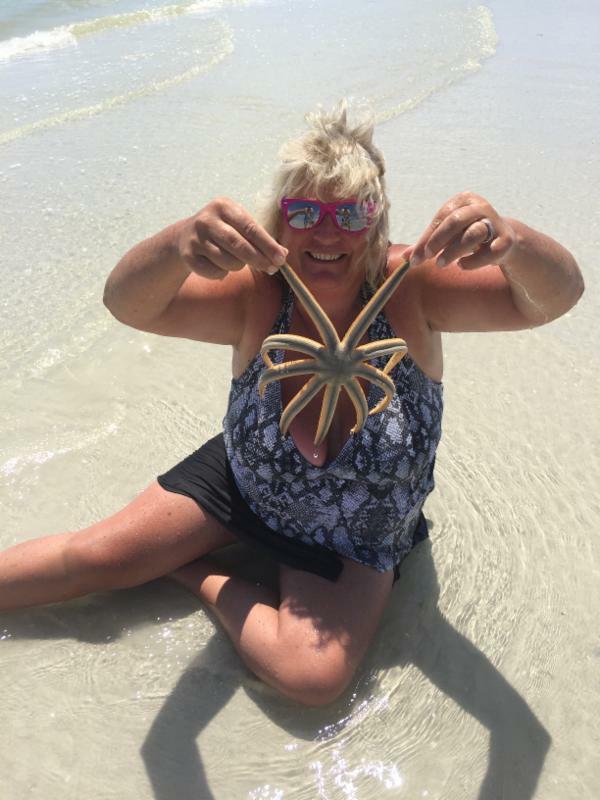 The Moore's from Kentucky also enjoyed the plethora of sea life and we have decided they should also be inducted into the Starfish Club! Real Estate is definitely picking up on Sanibel! We have had 2 closings in the past 5 months, currently we have 2 condos for sale (see below) and Unit E8 is under contract! F2 is a 1 bedroom 1 bath direct Gulf Front condo with spectacular views of the Gulf of Mexico. The list price is $599,000. B1 is a 1 bedroom 1 bath Dockside unit with a private glassed/screened lanai! There are only four of these particular units at Sanibel Arms, it won't last long! The list price is $369,000. 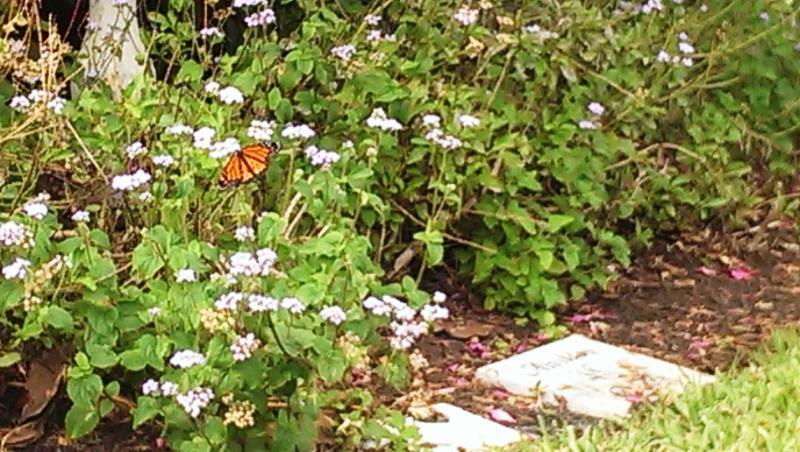 The Monarch Butterfly may be disappearing in many areas of the world, but we certainly have them at Sanibel Arms! Our butterfly garden is a busy place with many varieties of butterflies, Monarchs visit daily. 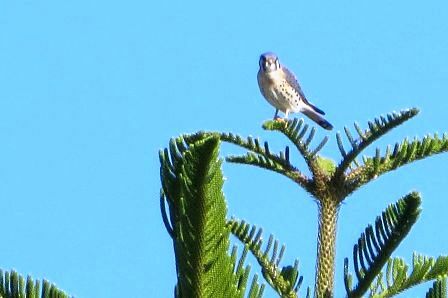 This spectacular hawk was spotted, and posed for the camera in the very top of the Norfolk Pine located right behind the Sanibel Arms office. The Short family from Tennessee stayed in two of our canal side units and docked their boat for FREE! 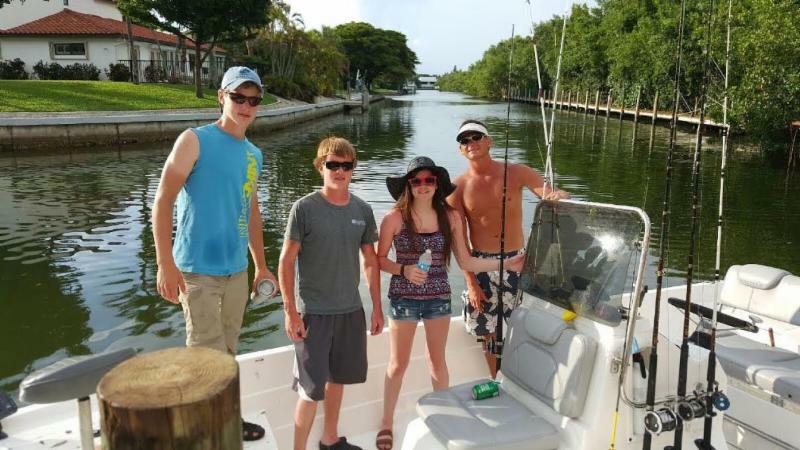 It is only about a 15 minute boat ride through the beautiful Sanibel canal to the open Gulf waters. Sanibel Arms canal is also a great place to watch manatee and occasional dolphin swimming by, looking for bait fish. There are fish cleaning stations, grills and picnic tables provided. The dock area is a great place to hang out with loved one's or enjoy some Sanibel solitude. 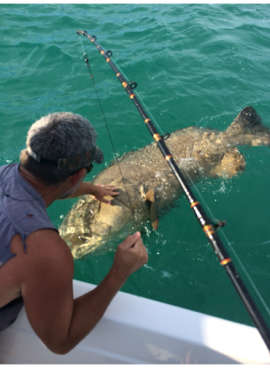 The Short family also sent us a great picture of a Goliath Grouper they caught and released while on Sanibel. What a Cool Catch! Fishing on Sanibel at its finest! Fall! Please use Promotional Code: SA Specials when securing your reservation. Book Online at www.sanibelarms.com or call 1-800-806-7368. Valid from: November to December 19, 2015. With fifteen miles of beach to choose from, you are certain to find a beach that suits your liking. All of Sanibel Island’s beaches will supply you with the means for fun. You will find a wonderful array of Sanibel Island shells that come in a variety of shapes, sizes, and even colors. Each beach has its own collections of shells and other benefits as well. They are conveniently accessible several different ways. When you’re out for a drive or cruise, taking a walk, or bike ride, running, skating, scootering, however it is you’re getting around, head to one of the many beautiful beaches that Sanibel has to offer. Bowman's Beach has a gorgeous blanket of white sand and is welcomingly quiet and secluded. It’s a perfect place to lay out and undress your stress. The beach features barbecue grills and an outdoor shower. It is only a quarter of a mile from the parking lot with RV and trailer parking accommodations. Parking costs only two dollars an hour and is open from 7AM to 7PM. The beach is located on Bowman’s Beach Road just off of Sanibel-Captiva Road. The Causeway Beaches are free to park and you can even pull right up to the shore. The Causeway toward Sanibel creates such a feeling of anticipation as you drive up and over, that when the view of The Causeway Beaches comes into vision, it calls you in like the Sirens of The Odyssey. These beaches are perfect for picnicking, swimming, surfing, and fishing. The umbrella of trees make ideal shady spots for those who choose to just kickback and relax. Algiers Beach and Gulfside City Park is a very dog friendly beach and park situated right next to a nature preserve. This beach has picnic tables and restrooms available. There is an hourly parking fee from 7AM to 7PM when parking becomes free. It is located at Algiers Lane and Casa Ybel Road. The Sanibel Lighthouse Beach and Fishing Pier is set on a wildlife refuge. The lighthouse is more than 120 years old and is still an important lighthouse for the area. It is a popular beach with two dollar parking from 7AM to 7PM. Located on Periwinkle Way, there is a boardwalk nature trail that winds within native wetlands. The pier at this beach is a wonderful place for fishing, but swimming isn’t recommended because of the currents created by the causeway. Close to seventy-five percent of Sanibel Island is protected nature and wildlife preserve and the island asks that it’s beaches also be protected, by it’s guests. Whether you are visiting with friends, family, or pets, please remember to follow the beach rules when shelling and otherwise enjoying yourself on the beaches. Pets must be on leashes and owners must clean up after their pets. Alcoholic beverages are prohibited November through May. No collecting of live shells. Live shells must be returned to the water and not kept. Restrooms are located at all public beach accesses. To build a more productive collection of Sanibel shells, vacationers often ask the Sanibel and Captiva locals for shelling tips. Sanibel Island shells are some of the most beautiful of their varieties and many just can’t get enough. The first key to remember is always have fun with shelling. As you’re looking down searching for shells, you will find yourself in a position known to the island as, the “Sanibel Stoop”. Don’t be too particular or you may pass up a shell with a wonderful history. Gastropods include animals such as snails and slugs and are considered to be the largest class of mollusks. Their shells are spiral-shaped and univalve. Univalve shells are not hinged or joined in anyway; they are one single shell. Gastropods scavenge for food through a siphon, which looks like a foot, thus this siphon is called a stomach foot. Bivalves are the most recognizable seashells in the class. This class includes animals such as clams, scallops, oysters and mussels, which are used commercially for food. The bivalve shell is used to identify this organism. It has two shell halves that are hinged together and are used to protect the body. There are 1,000 species of chitons in this class and each one is covered by eight protective plates. The shell is oval and each of the eight plates is held together by a leathery flesh giving it the ability to roll into a ball when threatened. Polplacophora hunt for food in the crevasses of rocks in deep water. Cephalopods include animals such as squid, octopus and the nautilus. The chambered nautilus is the only one in this class with a shell. This class is best identified by its long tentacles with suction cups that are used to capture prey. With the exception of the chambered nautilus, cephalopods have excellent vision and intelligence. The long, tusk-shaped shell of the scaphopoda has an opening on both ends giving it the name "shovel foot." It is found buried in soft mud or dirt with only one end sticking up to collect food. It has a mouth called a radula that has the ability to grind food. This mollusk was once thought to be extinct. It is an ancient species that lives in deep ocean waters. It has a single, disc-shaped shell with a mouth located on the underside of its body. The best time to look for Sanibel shells is at low and high tide. It is recommended to investigate the times of these tides for the duration of your stay with a tide-chart. When the water is low, the shells become easily accessible for picking. A full or new moon period has the best tides for shelling. Sanibel Arms Condominiums is conveniently located right on the beach. Your chances of finding the “pick of the litter” of coveted Sanibel Island shells is greatly increased by allowing you to get out on the beaches before that days’ deliveries from the ocean have been picked over. Pay attention to the winds, as those from the northwest, are excellent conditions for shelling closer to the eastern side of Captiva; southwest winds are great for shelling near the western portion of Sanibel. iloveshelling.com posts tips for optimal shelling every day so that you get the best tips for that day. The best activities are those that involve relaxing and having fun at the very same time. With shelling, you can’t go wrong if you’re looking for the perfect two-for. Go on and get to the beach and start your collection today. Don’t forget to take your shelling tips into consideration and have a blast enjoying identifying all of the shells you find. Take in some magnificent scenery while walking your worries away, plucking treasures that nature put there just for you. Once you’ve started your collection, take a walk through The Bailey-Matthews Shell Museum to compare what you have and get excited for what you have yet to discover! There is a plethora of activities to immerse yourself into on Sanibel Island. With plenty of biking and hiking trails, the outdoor activist is due to have a fulfilling vacation. At Sanibel Arms Condominiums, you’ll find that no matter which direction you head out for adventure, you’ll find it. Whether you’re staying in a vacation rental, or visiting one of our guests, when you’re looking for something to do, you may discover there’s so much to see and experience, that you aren’t sure where to start. 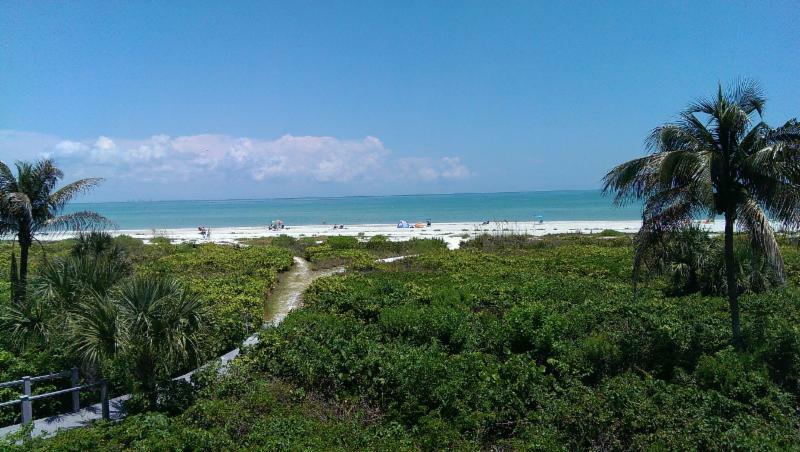 Sanibel Arms Condominiums hosts a beautiful beach and view for you to enjoy right in our own backyard. when you’re loving the beach and decide you want a more in-depth outdoor experience while you vacation on Sanibel Island, you are welcomed to start your journey at Tarpon Bay. Tarpon Bay Explorers is the J.N. “Ding” Darling National Wildlife Refuge’s official recreation concessionaire that offers many guided tours, in many different ways. You can tour The Wildlife Refuge by kayak, canoe, bike, pontoon boat, or even by stand-up paddleboard. This center of discovery will take you up close and personal with an abundance of wildlife. You will admire Sanibel’s splendid variety of birds, dolphins, alligators, manatees, and other intriguing wildlife. The Refuge Tram Tour will assist you in spotting wildlife many visitors may never see otherwise. All of the tours are great fun and extremely educational. The tour describes “fascinating tales of the Calusa Indians and the early days of Sanibel and south Florida”. The Kayak Trail Tour is a serene journey along the mangrove forest speckled with wading birds along the shore. The Sunset Rookery Paddle Tour is an exclusive experience for the seasoned kayaker, especially for avid bird watchers. Many species such as egrets, herons, ibis, cormorants, and pelicans, among other birds, can be viewed in abundance on this tour. Standup Paddleboard Ecotours at Tarpon Bay Explorers is simple fun. With the perk of being able to bypass board transportation and launch directly into the waters of the J.N. “Ding” Darling National WIldlife Refuge, you don’t have to waste any time getting into the estuaries to see dolphins, manatees, fish, birds, and much more. Reserve a guide to learn basic paddleboard techniques and about the ecosystem you are so beautifully immersed in. Daytime, Breakfast, and Evening Nature and Sea Life Cruises aboard a pontoon boat, each offer their own unique benefits corresponding to the time of day. All cruises include the interactive Touch Tank Presentation. Visitors can enjoy and learn about live shells like conchs, lightning whelks, tulip snails, and other sea life including horseshoe crabs, oysters, sea stars, sea urchins, hermit crabs, and the list keeps going. ”Free Deck Talks” is a great easy on the budget lunchtime sea life lesson. Nature experts freely offer their knowledge and answer questions in relation to many topics like the habits of alligators, dolphins, manatees, sea turtles, sharks, and other interesting subjects. Those of you visiting Sanibel Island who just want to get outside and into nature, can’t go wrong when exploring with the experts at Tarpon Bay. While it may be difficult to leave the comfort of your vacation rental at Sanibel Arms Condominiums, we would love for you to have a well-rounded vacation. It would be a shame to not get out and share the beautiful sights and exciting activities that Sanibel Island has to offer with your friends and loved ones. Tarpon Bay is a perfect place to start your fulfilling vacation experience. Not only do you get to be outside and take part in the heart of the wildlife action, you also get to build amazing memories of adventure, to be cherished by all, for years to come. Roughly seventy-five percent of Sanibel Island is under protection of development, allowing a large majority of the island, to stay purely natural. An astonishing half of the entire island, is the well-renowned J.N. “Ding” Darling National Wildlife Refuge. It is known nationwide and is a must to experience for a fun-filled vacation. The more than 6,000 acre wildlife preserve, has a splendid history and a well-developed Education Center with employees and volunteers eager to share their knowledge. There is even a special tribute full of historical facts dedicated to The Refuge’s beloved J.N. Darling. While you enjoy your stay at your vacation rental, be sure to visit for an intimate endeavor into the wild. In 1906, a later two-time Pulitzer-Prize winning cartoonist, Jay Norwood Darling, coined himself the nickname “Ding”. He used this signature on his many illustrations to raise environmental awareness. In 1934, President Franklin D. Roosevelt appointed “Ding” as the Director of the U.S. Biological Survey. With much concern for the sustainability of wildlife habitats, he founded the Federal Duck Stamp Program. As of the same year, with the addition of the passage of the Migratory Bird Hunting and Conservation Stamp Act, Darling helped changed the future of endangered and threatened species. Hunters aged sixteen years and older, must purchase a Federal Duck Stamp. Ninety-eight cents of every dollar from the sales of Duck Stamps goes to the purchase of wetlands. These wetlands are used for preserving nesting locations for endangered birds. With much encouragement from “Ding”, in 1945, President Harry S. Truman endorsed an Executive Order, thereby establishing the Sanibel National Wildlife Refuge. The Preserve is located on Wildlife Drive in Sanibel, Florida. In honor of his many years of pro-environmental service, the refuge was renamed the J.N. “Ding” Darling National Wildlife Refuge in 1967. Of the more than 550 National Wildlife Refuges in the United States, J.N. “Ding” Darling has the largest population of mangroves. These trees have intriguing tangled roots that twist above ground, making them appear almost magical. Something else beautifully interesting about them, is the microorganisms that feed from their leaves, as well as seagrasses, are just one beginning thread of a sophisticated food web. The presence, or lack of, even one type of organism, can affect the existence and condition of many other species. When poisonous DDT was used as a cheap crop pesticide, it would seep into the water and retain in the fat of the fish. The birds that fed on those fish produced fragile eggs and resulted in diminishing populations. One particular type of bird affected was the Osprey, also known as a Sea Hawk. In 1974, two years after DDT was banned, Sanibel and Captiva Island joined forces to build the first-ever nesting platforms for the dwindling Osprey. Those have, to date, been able to increase their population by an incredible four-hundred percent. The refuge is currently one of the top birding spots in the country. Dedication proves results and the J.N. “Ding” Darling Wildlife Refuge displays this by visibly changing lives. What’s better than a vacation that’s affordable and fun? When staying at Sanibel Arms Condominiums and vacation rentals, you can be confident you’ll have an amazing time, even on a budget. At the nearby J.N. “Ding” Darling Wildlife Refuge, there are three wonderful nature trails off of The Wildlife Drive. It is a four mile road that leads you through the heart of a magnificent mangrove forest. Every year the Drive welcomes more than 800,000 visitors. Guests are invited to enjoy themselves via vehicle, a guided tram, on bicycle, and by foot. The trails are accessible Saturday through Thursday. There is a five dollar and one dollar entrance fee per vehicle or person (over fifteen years of age) respectively. Visitors carrying a current Federal Duck Stamp, Senior Pass, Access Pass, Annual Pass or Refuge Annual Pass are not required to pay the entrance fee. A self-guided tape/CD about the Wildlife Drive and a souvenir booklet are available for purchase in the Education Center. Binoculars are available for rental at the information desk. According to the U.S. Fish and Wildlife Service, “272 bird species have been identified utilizing refuge habitats, as well as 60 species of reptiles and amphibians, 33 species of mammals, and 102 species of fish. There are more than 250 volunteers helping to educate visitors and to join in partnership with the residents of Sanibel and Captiva Islands, Lee County, and the State of Florida, to safeguard and enhance more than 7,300 acres of pristine subtropical habitat for the benefit of wildlife. The refuge fee program is one of the most successful fee programs in the U.S. Fish and Wildlife Service. The refuge concessionaire staffs the collection booth and provides helpful information. The refuge collects over $300,000 annually, of which $240,000 stays at the refuge. Monies from the entrance fee program are used to support the refuge’s environmental education, interpretive, and public outreach programs. At the J.N. “Ding” Darling National Wildlife Refuge, the best time for wildlife observation is near low-tide in the morning or evening. Birds will be feeding in the exposed mud flats. The flats are a key part of the life cycle for the birds on Sanibel and Captiva Islands, as it’s the shallow waters that allow for the birds to feed easily on the visible fish. The three trails of The Wildlife Drive each have their own viewings to offer. The Indigo Trail departs from the Ding Darling Education Center parking lot with visitors regularly spotting wildlife such as night-heron and alligators. The Wulfert Keys Trail is a short trail following a power line, accessing Pine Island Sound, which boasts the best fishing and mangrove tunnels. The osprey platforms were also built on top of the electrical poles to avoid shock to the birds. With a phenomenal landscape view and great Osprey and Pelican watching, it’s an experience that shouldn’t be missed. The Shell Mound Trail is a quarter-mile long “interpretive “boardwalk” that starts near the end of Wildlife Drive. The Trail leads through a hardwood hammock growing atop of an ancient Calusa Indian Shell Mound. Migratory songbirds, like Warblers, can be heard amid the spring and fall migrations. The best months for bird watching at the refuge are November through April. The J.N. “Ding” Darling National Wildlife Refuge is located next to the Florida Power and Light Company's Orange River Power Plant. A dominant wintering area for the endangered West Indian manatee, is the Orange River's outflow. Warm water created by the power plant makes for excellent breeding conditions. With so many outdoor activities and the luxury of so much pristine land to enjoy, visitors are handed the recipe for fun on Sanibel Island. The conservation of the J.N. “Ding” Darling National Wildlife Refuge is magnificent. It’s on-point concession offerings are the vacation-goer and local resident’s ideal ingredients for a truly enjoyable and educational retreat. Throughout your stay at your vacation rental at Sanibel Arms Condominiums, we encourage you to head over and take in the scenery and let out the stress from your daily life. Take time now to breathe in nature and help support a wonderful cause. Just like Sanibel Arms Condominiums, if you haven’t been there yet, you don’t know what you’re missing. Third thing on the list to do is to take an eco-tour with Tarpon Bay Explorers.They offer breakfast and evening cruises. They also have a fantastic touch-tank at Tarpon Bay where the kids can join a naturalist to see what lives beneath the water. Next up we recommend the Sanibel Thriller Cruises. We’re talking speed, nature and exotic wildlife all wrapped up in one. Everyone in your party will find something to love about this cruise. You can check them out at www.sanibellthriller.com. If you are feeling ambitions, you may choose to tour Sanibel via bike on the 28 miles of pathed Sanibel bike trails. For more info go to www.sanibelcaptivamap.com. Finally, we recommend you take one day to wing it. Just grab a copy of the Treasure Islands Guide map and explore the best of Sanibel and Captiva. They do a great job of laying out restaurants, art galleries, and everything else there is to see and do on Sanibel Island. The perfect vacation for both Florida residents and National vacationers may involve a history lesson on Sanibel Island, which is just off the coast of Ft Myers, Florida. Think of the untampered, pristine beaches like in Gilligan’s Island or Cast Away that are littered with beautiful sea shells. Think history! While much of Florida’s coastline has been razed and covered in high rises, that is not the case on cozy, intimate Sanibel Island. Sanibel was settled by the Calusa Indians over 200 years ago. They built their homes on foundations of shell mounds and when you and your family visit Sanibel, you’ll see why. The variety and number of beautiful seashells is famous worldwide. In the 1800’s the U.S. government placed a lighthouse on Sanibel Island, which quickly became a homestead for Floridian families. If you want to combine a lazy get-away with the backdrop of a rich history, then Sanibel is the place for you and your family. Aside from shelling and swimming you can enjoy some great day cruises with companies like Santiva Salt Water Fishing Team where you can go fishing, shelling and snorkeling. You can also get out to watch the dolphins. Captains Jimmy Burnsed, Rob McKay and Jim Burnsed are well known on Sanibel for their local knowledge and guide expertise. Sanibel Island, Florida Voted 3rd Happiest Seaside Town! Shell-lovers from all over the world make pilgrimages to tiny Sanibel Island’s Gulf Coast, considered the best shelling spot in North America according to Travel & Leisure Magazine. Sanibel’s beaches, protected by a broad underwater shelf perfect for gently receiving deliveries from shell-laden currents, are carpeted with tiny, perfect pastel coquinas and false angel wings. More than 50% of travelers report feeling more rested and relaxed after returning from vacation, and one of the biggest contributing factors is where they decide to stay while on vacation. Sanibel Island is a popular destination for families and couples alike for various reasons, but the biggest draw to the island by far is its beautiful beachfront condos. 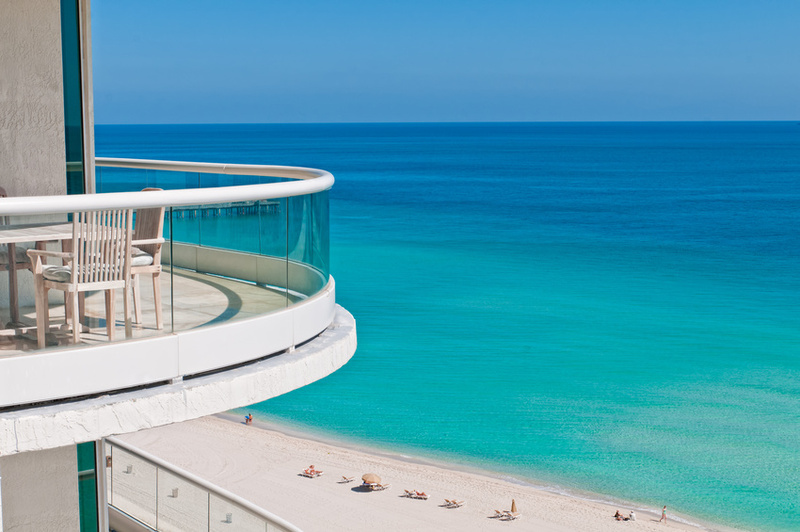 The idea of renting a condo instead of staying at a hotel may seem strange to some, but here are three benefits that may have you booking your Florida vacation in a beachfront condo. Being cooped up in a small hotel room with limited resources is sure to put a damper on your vacation time. In a beachfront rental, you'll have all the space you need. Whether you're vacationing with the whole family, a group of friends, or your sweetheart, any vacation rental is sure to offer enough space to roam and rest comfortably. If you're a regular traveler, every hotel room may start to feel the same. 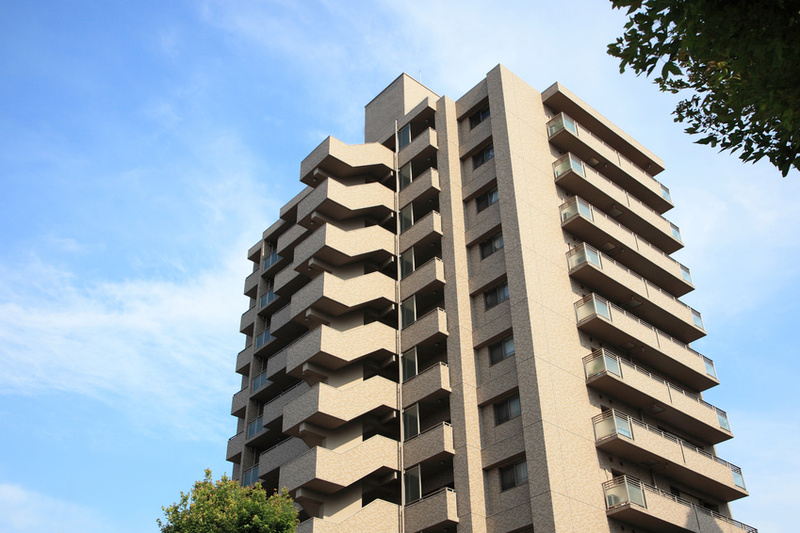 However, renting a condo offers more unique accommodations. The place you're staying in will often reflect the setting of the area surrounding it. For example, a Sanibel Island condo may offer displays of some of the near 250 species of shells that can be found and collected along the beaches there. While walking in and out of a hotel can enhance the awkward tourist feeling during vacation, settling into a cozy beachfront condo can make you feel like one of the locals. Your own kitchen and living space will make it easy to feel like you're coming home after a long day of activities in the pristine island town. Not only that, but you won't have to worry about being surrounded by other tourists and harried business people. With a strict building code and a mere 6,000 permanent residents, Sanibel Island may feel like it's one of Florida's best-kept secrets, but beautiful beachfront condos may just be Sanibel's best-kept secret. It's no ordinary beach vacation when you have a gorgeous beachfront home to come back to. With 87.3 million visitors in a single year, Florida is the top travel destination in the world. While millions may come to visit the attractions and bright lights at Disney, others are looking for a more restful vacation. The good news is that if you're one of those people looking for a quiet spot with good fishing, you're in luck. Florida has many hidden paradises in its vast, flat expanses, and if you're looking for good fishing, here are five places you need to visit. This small island getaway is about two hours from Miami and is a perfect place for a vacation with family or friends. Filled with little coffee shops and local eateries, it boasts some of the best local atmosphere in small town Florida. Don't leave without going fishing, though! There are charters that will take you out to sea, and plenty of small locations for island fishing. Located a short way from the everglades and Naples, Marco Island is the largest and only developed land in Florida's Ten Thousand Islands. Collier Seminole State Park, just a few miles from the island, has primitive camping, canoeing, fishing, boating, picnic grounds, and a mile-long nature walk, making this location a great vacation spot for nature lovers and adventurers. As the self-proclaimed dive capital of the world, Key Largo is a gem among Florida's Keys. Filled with gorgeous oceanfront vacation condos and home to the world's largest artificial reef, Key Largo is where water-sport enthusiasts can thrive. The island boasts both amazing diving and fishing opportunities from beginner to expert. With a permanent population of just over 6,000 residents and a strict building code, Sanibel Island may just feel like Florida's best-kept secret. Sanibel island fishing will take you from small waterways to piers, and the island boasts many other activities. If Sanibel Island fishing doesn't do it for you, over 250 different species of shells can be found and collected on the island. Whether you're looking for open-ocean fishing or small waterways like Sanibel Island fishing boasts, these five hidden paradises are sure to offer some of the best Florida vacations around. There are more than 1,300 golf courses in Florida, and while they're a staple of permanent residents and vacationers alike, the Sunshine State's beaches are its true gems. You may think that all beach vacations are the same, but Florida has endless miles of beach and hidden paradises tucked away in its vast, flat expanse. So for your next trip to Florida, here are the top five beaches to visit. Spread along a narrow, three-mile stretch of the Pinellas Peninsula on the Gulf Coast, Clearwater beach is well-deserving of its title. Its reputation as one of America's finest beaches has attracted countless families, friends, and couples to its broad, sandy shores and beachfront condos. It offers multiple activities for everyone, such as sunbathing on white-sand beaches, renting fishing boats, taking a dolphin-watching cruise, parasailing, or heading to a mainland museum or aquarium. Over 505 of employed vacationers report feeling more relaxed and refreshed after a vacation, and Atlantic Beach is definitely the place to get some well-deserved relaxation in. With its soft, white sand and small town charm, this location is only a short drive from Jacksonville, so you can enjoy a short commute and get straight to your vacation rental and relax. This beach is a family-friendly location that boasts a small-town atmosphere and a two-mile-long beach that's ideal for sunbathing, swimming, and sandcastle building. After the sun goes down, Atlantic avenue becomes a festive display of lights and shops, offering vacationers endless options for evening activities. For those who like being kept busy, Siesta Key is certainly a good place to be. Beach lovers flock to these silky shores to take advantage of the wide expanse of sand while strolling, shell collecting, or engaging in more active pursuits, such as renting a catamaran or kayak. With just 6,000 permanent residents and a strict building code that prohibits buildings above three stories, Sanibel Island may feel like Florida's best kept secret. 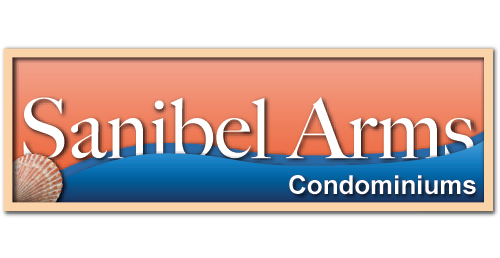 Sanibel condos offer amazing family vacation spots, as well as romantic getaways for couples. It's a prime location for shell-collecting, boasting over 250 species of shells on its near 15 miles of pristine beaches. Whether you choose a family vacation rental near Clearwater Beach or opt for the more romantic Sanibel condos, each of these beaches is sure to give you a vacation to remember. About four out of 10 travelers say they feel more romantic while on vacation, and to be honest, why wouldn't they? Vacation is the perfect time for couples to sit back, relax, and spend some quality time getting back into the grandeur of romance. But a hotel room can often feel far from romantic. Instead, here are five reasons why you should look into rental condos for your next couple's getaway. In a hotel, you're often limited to a certain selection of foods, and forget about cooking. But in a vacation rental, you'll have the freedom to cook your own food, and do it in a real kitchen. The opportunity to purchase and cook your own food will not only give you a chance to eat healthier, it will also let you sample and support local ingredients! And let's be honest, what's more romantic than cooking and dining together? Eight out of 10 people who enjoy traveling say they believe vacation is very important to their overall well being -- but you can't really relax when you don't have a sense of privacy. In a hotel room, you often have to be extra mindful of the people in rooms around you, as well as staff. In oceanfront condos, all you have to do is sit back and listen to the sound of the waves crashing, because you'll have the whole place to yourself. No noisy kids or nosy guests; you and your honey will have the sweet gift of privacy. And in a place like Sanibel, which has only 6,000 year-round residents, you may just feel like you have the entire island to yourself. With the absence of neighbors comes the opportunity to be a little bit loud. Some beachfront condos come equipped with surround sound, but for those that don't, you can pack wireless speakers and get the party started! Whether you like to croon while you cook, listen in the shower, or set an intimate mood with slow jams, you have the freedom to make any moment a musical one in rental condos. If you stay in a hotel, you might get pillow chocolates. To a staff, you're just another couple. But to someone running a rental condo? You're a guest at their property, and they'll see to you as such. Knowing that a property is well taken care of is important, and it can make your stay all the more enjoyable. Not only that, but they will be able to give you insider tips about local attractions and events! Rental condos are everywhere, which gives you the freedom to choose from countless romantic destinations. If you're in the small town mood, you can visit Sanibel, which is known for over 250 species of shells that can be found on its pristine beaches. No matter where your romance takes you, a vacation rental will provide limitless options. With over 87 million visitors each year, Florida ranks as the top travel destination in the world. You may think that beyond theme parks, Florida doesn't have much to offer, but in reality, there are far more surprises in the Sunshine State than you may think! There are countless reasons to make Florida your vacation destination this year; here are five to get you started. Florida has some spectacular sunsets, and if you plan a stay on the Gulf Coast, you're in for a real treat. Key West and Clearwater Beach have sunsets that are cause for celebration. Every night, people will gather on the beaches to watch the sun go down, and often plan parties to watch the beautiful sight. You can even watch the sun set from the window of one of the many vacation rentals you might pick to stay in. Talk about a view! You may be thinking that once you've been to one beach, yo've been to all of them, but nothing could be further from the truth. Beachfront condos and oceanfront rentals are everywhere you look, and each is more scenic than the last. 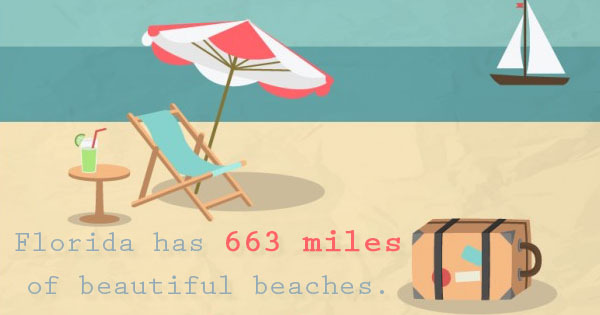 Florida has 663 miles of beautiful beaches, each with a different activity to offer. For example, Sanibel Island is known for the over 250 different species of shells that can be found on its pristine beaches. Shelling is also a fun family activity, especially for early risers. Not only that, but oceanfront rentals make beachcombing a breeze. Florida may be lacking the mountainous regions that many other state parks have to boast, but despite all of that flat land, there are new animals and ecosystems everywhere you look. Florida's State Park system offers sites of historical significance and recreational opportunities that reflect the natural beauty of Florida. Not only can you learn about the wildlife in Florida, you can learn about its rich history. If you're sick and tired of all the commotion and noise at amusement parks, then maybe quieter vacation rental accommodations in a small Florida town are just right for you. The island of Sanibel can feel like Florida's best kept secret, with only 6,000 year round residents. 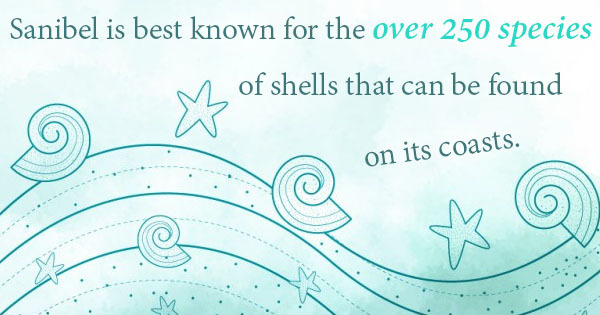 Not only that, but Sanibel is home to the only shell museum in the United States. Small towns like this have all sorts of little secrets to offer. 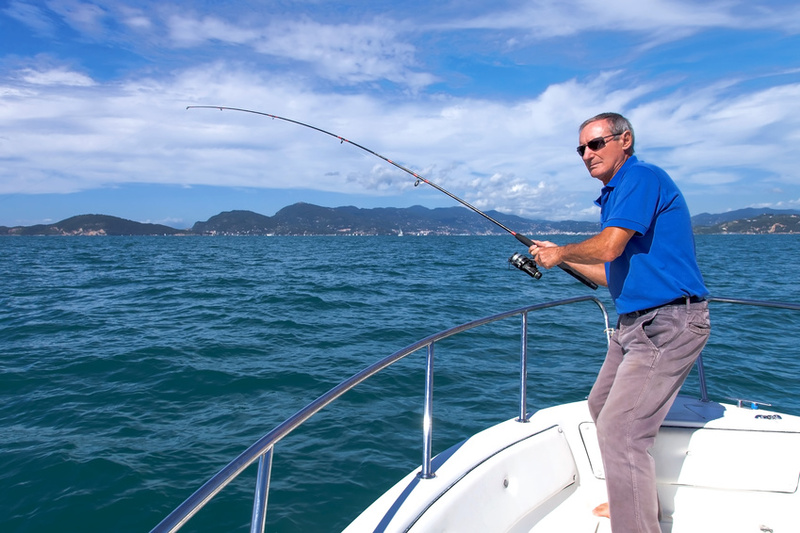 If you're a fan of water sports or fishing, you need to look at oceanfront rentals in the Florida Keys. Home to some of the most beautiful beaches in the world, these locations boast a variety of water-based nature activities. In addition, they house the only barrier reef in the United States, which is home to almost 1,400 species of marine plants and animals, including more than 40 species of stony corals and 500 species of fish. So take your loved ones to the hidden paradises that Florida has to offer and discover something new and exciting this year! Florida is one of the top travel destinations in the world, pulling in a total of over 87 million visitors in just one year. While many families will choose to visit theme parks, some vacationers are heading to this sunny state in the hopes of getting some well-deserved rest and relaxation. For those who want to get away from all of the noise, these five hidden island paradises are the perfect escape. Located just west of Fort Meyers, Pine Island is the perfect spot for a laid back, relaxing vacation. The little town is a fantastic island getaway, complete with local art galleries, infamous food, and prime island fishing. Plus, its beachfront condos offer a serene view, and its beaches offer a variety of fun activities for the whole family. Cabbage Key is a fantastic spot for nature lovers. If you're looking to explore and get closer to nature, this is the place to do it. Dotted with hiking trails full of mangroves, gumbo limbo, and other exotic plants, you'll learn more than you can imagine. Not to mention the fact that you'll be seeing the beauty of it all firsthand! At least 42% of travelers report feeling more romantic while they're on vacation, and the pristine town of Boca Grande is the perfect place for a romantic getaway. This little slice of paradise boasts stylish shops and boutiques, as well as seafood restaurants of critical acclaim. Definitely a good place for a honeymoon! Sanibel is the crown jewel and best-kept secret of Florida's collection of paradises. With 15 miles of pristine white beaches, a collection of island condos, and a population of 6,000 year-round residents, you may feel like you've stumbled into a simpler time. Sanibel's island condos are perfect for couples and families, and really give you the feel of being part of the island life. Sanibel is best known for the over 250 species of shells that can be found on its coasts. Vacations should be relaxing and fun for the whole family, so why not take a break from the color and noise? Florida's little collection of island paradises is waiting for you!